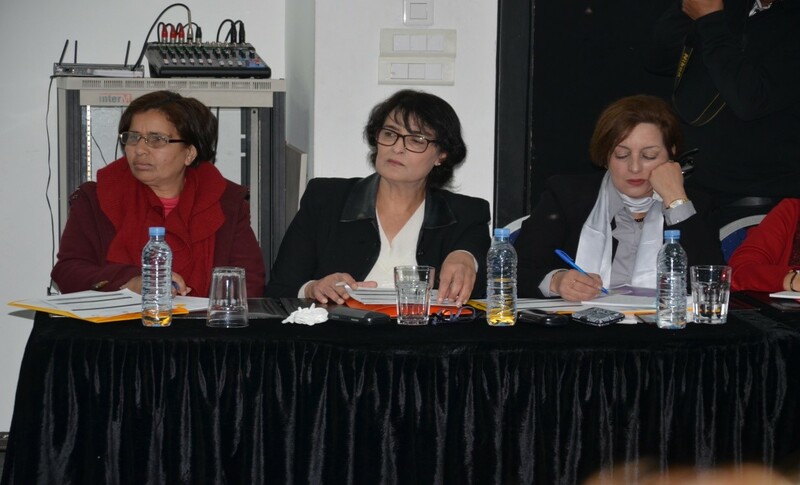 The national dialogue “Following up on the 4th UfM Ministerial Meeting on women’s rights”, organised by Union of Women’s Action (UAF) in partnership with the Euromed Feminist Initiative and with the support of the European Union, took place on the 5th of May 2018 in Hotel Golden Farah, Rabat. The dialogue was attended by Ms. Bouchra Marouani, representative of the Ministry of Family, Solidarity, Equality and Social Development, Ms Aicha Nassiri, member of the Supreme Council of the Judiciary and Ms Nozha Skalli, former Minister of Development as well as representatives of national and international NGOs, women’s rights organisations, political parties, lawyers, judges, gender experts and media. During the dialogue, participants discussed the Ministerial Declaration from the 4th UfM ministerial meeting on women’s rights (27/11/2017, Cairo) and the Declaration of Civil Society Conference (23-24/11/2017, Cairo) with policy recommendations to be implemented before the 5th UfM Ministerial Meeting. They discussed ways and means to follow up on the governmental commitments to implement gender equality policy. The dialogue initiated a debate on mechanisms for the implementation of gender equality through the Ministerial process. Ms. Aicha Lukhmas, president of UAF, introduced the objective of this national dialogue which is to organise and institutionalise the dialogue between civil society and the concerned government sectors as well as Legislature and Judiciary in order to implement the outcomes of the 4th UFM Ministerial meeting on women’s rights. Ms. Zahra Ouradi, member and founder of Union of Women's Action (UAF) said that this national dialogue was held in the frame of the project “Gender Regional Platform” funded by the European Union to follow up on the 4th UFM Ministerial meeting on women’s rights, in which the Ministry of Family, Solidarity, Equality and Social Development confirmed its commitment to implement gender equality policy through the Ministerial process. 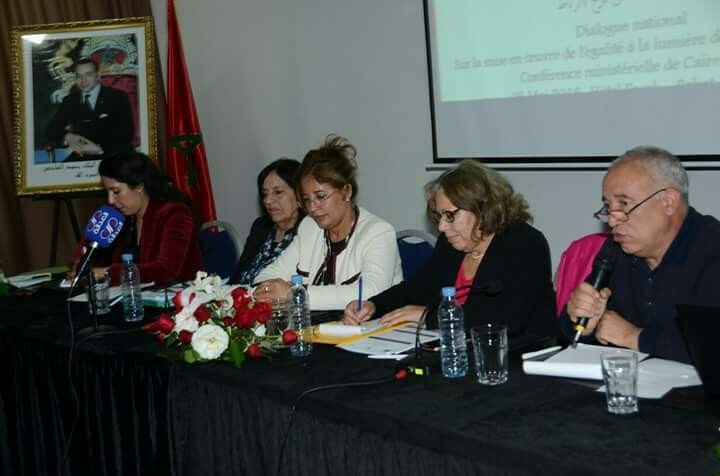 During the dialogue, Ms. Aicha Nasiri, member of the Supreme Council of the Judiciary and founder of the Moroccan Association of Women Judges presented the publication issued by the Chief Public Prosecutor, Mohamed Abdel Nabawi, which included a number of strict determinants of child and forced marriage in Morocco. The publication highlighted the importance of ensuring the right of girls to education and social protection. She stressed the need to remove discrimination in the justice system in particular and in all other areas in general. She demanded the public prosecution judges to protect girls and to conduct awareness sessions about the dangers of early marriage. The dialogue gave an opportunity to evaluate the national policies on combating all forms of violence and discrimination against women and improving their participations in all fields. The dialogue stressed the importance of eliminating gender stereotypes that prevent the optimal implementation of women's human rights.